A book about eating was not on my summer reading list. I’m too busy doing it to read about it. But I’ve just finished reading THE PRINCETON EATING CLUBS which turned out to be more about historic architecture than eating. 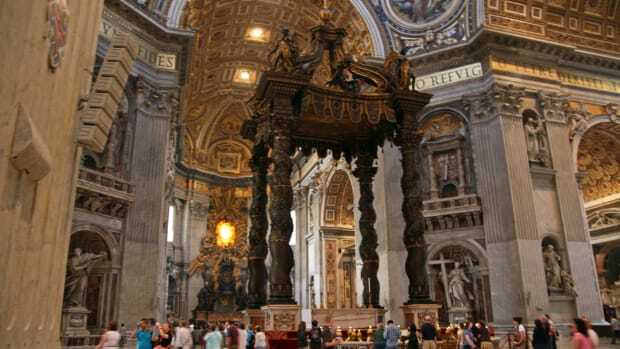 The book presents historic architecture of gastronomical origin. 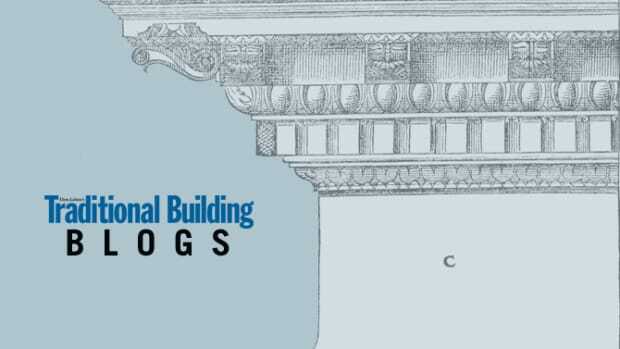 I heard about this book from its author Clifford W. Zink who was a speaker and tour guide at our recent Traditional Building Conference in Princeton New Jersey, which took place across the street from the Princeton University campus. 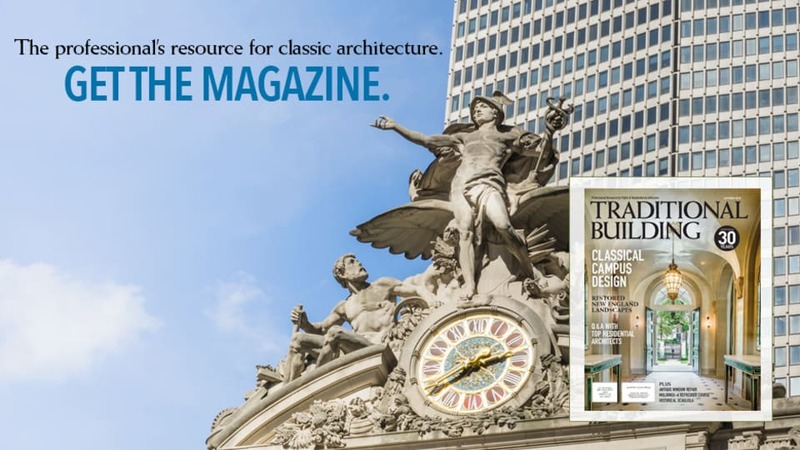 Clifford Zink is an architectural historian and preservationist who was commissioned to write the book by the Princeton Prospect Foundation. Mr. Zink took us on a tour of Prospect street’s eating club houses. 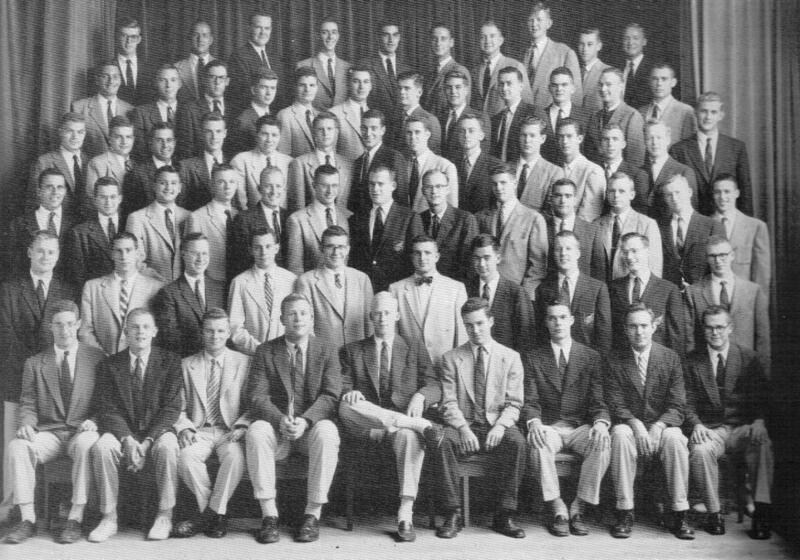 The eating clubs are the fraternity houses of Princeton University, without the stench of stale beer and gym clothes. Each club is a well preserved architectural masterpiece, designed by the starchitects of the Gilded Age. They are proud stone mansions, all in a row, on tree lined Prospect Street which runs perpendicular to the east line of the University campus. THE PRINCETON EATING CLUBS is the story of these period houses. Sixteen eating clubs were built between 1895 and 1928, during a time when the school’s trustees believed that “delicacies ought to be avoided.” Princeton, formerly the College of New Jersey, was founded in 1746 by John Witherspoon, a Scottish-American Presbyterian minister, the quintessential ascetic, and a founding father of the United States. He eschewed vice, even good food. Ivy, the oldest of the Princeton Eating Clubs. Thus, from the beginning, the University trustees and the students were engaged in a food fight which the students, with a lot of help from the alumni, ultimately won. The evidence of their victory is the eating clubs: The Tiger; Ivy; Elm; Cottage; Colonial; Cap and Gown; Campus; Cannon; Charter; Quadrangle; Tower; Dial; Terrace; Cloister; Key and Seal and Court Clubs. These grand manses became, and still are, the bread and butter of student life. Feast your eyes on the glossy four-color photos of this book! You’ll binge on architectural details like carved limestone, ribbed plaster ceilings, wrought iron light fixtures and intricate stained glass. 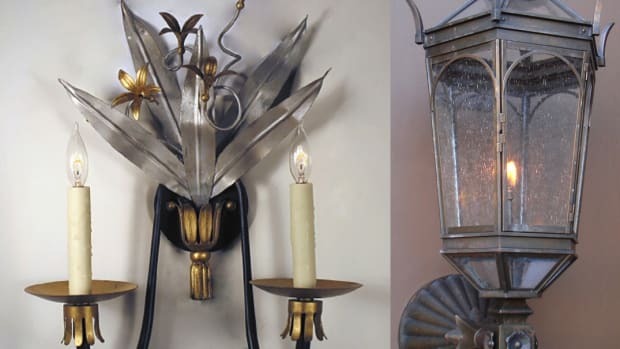 On our Traditional Building Conference house tour, these opulant interior details appear remarkably intact, despite constant usage by college students… and alumni intent on reliving their youth. The football stadium is just down the hill from the eating clubs. Tailgating extraordinaire! 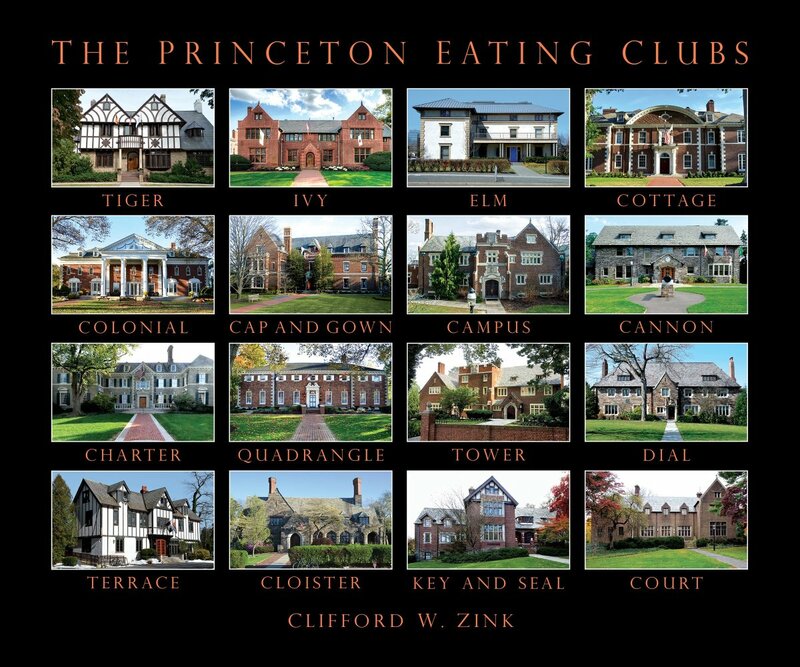 Yes, the eating clubs of Princeton serve food in their dining rooms. 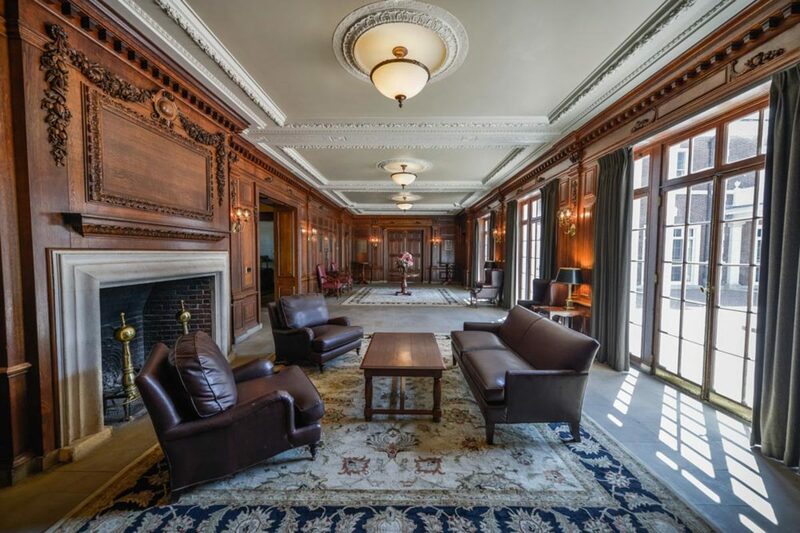 They also provide a quiet place to study, in richly paneled libraries, or a place to play, in the billiard rooms. Photos of both the interior and exteriors of eating clubs are generously featured in Zink’s book. My two favorite club houses are Charter and Cottage. The Cottage Club, designed by McKim, Mead & White. 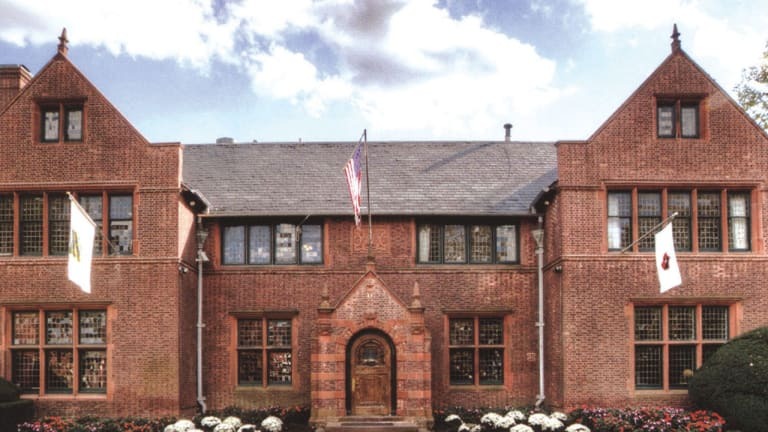 The Cottage Club, listed on the New Jersey and National Registers of Historic Places was designed in 1904 by McKim, Mead and White. 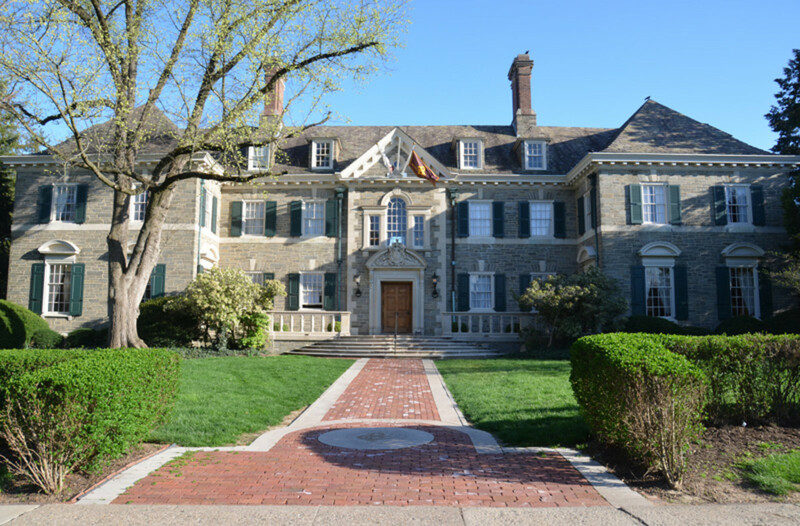 It is a “masterful interpretation of Georgian architecture with a façade of three central bays capped by a segmental arch and flanked by slightly projecting wings.” Cottage was restored in 1993 by modern-day preservation architect, Michael Mills, who graduated from Princeton in 1973, extending a long lineage of alumni club house architects. Front elevation of the Cottage Club. 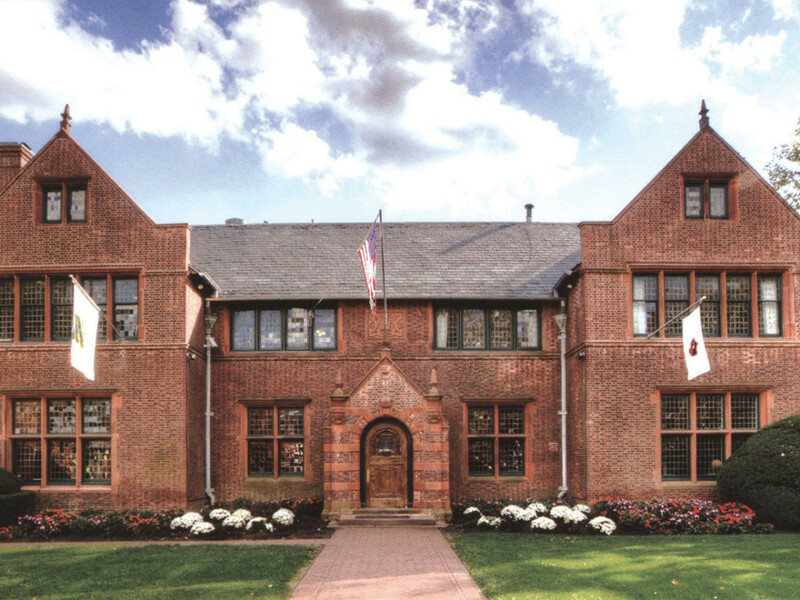 The original Charter Club was designed by Princetonian architect David Adler in 1904. 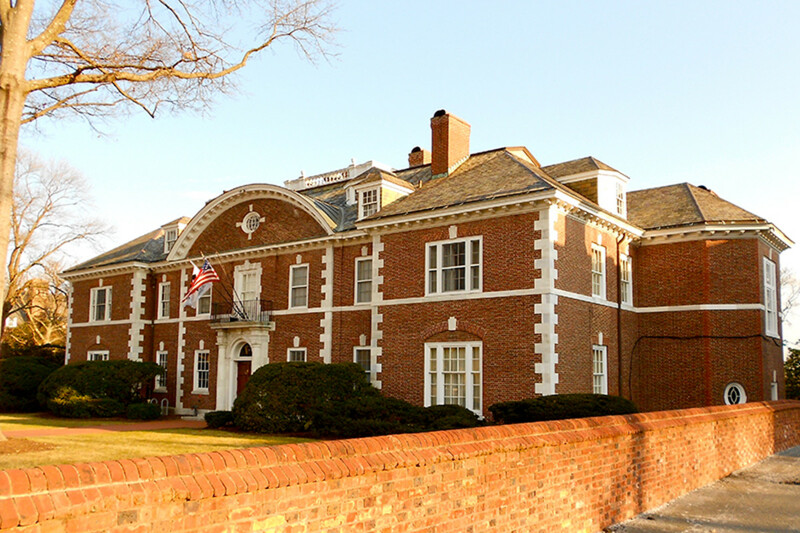 By 1912 the club house was deemed “too modest” so the members turned to another class mate Arthur Ingersoll Meigs to design a new, Georgian Revival which compliments the Colonial architecture of campus buildings like Nassau hall, built in 1756. “Charter ranks among the grandest of the Princeton eating clubs for its scale and stone masonry with Indiana limestone trimmings, elegant entrants and fine craftsmanship,” explains Mr. Zink. Both my favorite club houses take advantage of their southern light and views of the slope toward Carnegie Lake. The Charter Eating Club, designed by David Adler. For architects, interior designers, builders, architectural historians and period house voyeurs like me, The PRINCETON EATING CLUBS treats us to a slice of classical paradise. It’s no wonder that author Clifford Zink quotes F. Scott Fitzgerald who wrote, “the upper-class clubs excited curiosity. “ Clifford Zink’s book will too.